I have a pretty set stance on sour beers. Wanna hear it? I don’t like them. I don’t understand them. Some people love them, but I’m not sure why people inflict them on their own tastebuds. I was offered a taste of someone’s Egyptian bread beer once. I was skeptical. They assured me, “Trust me.” I trusted them. And boy, did I regret it. I was angry that no one slapped it out of my hand before it reached my mouth. There’s only been one sour beer I’ve liked, really, and that was Clockwork Orange, a collaboration between Newstead Brewing Co and Croft Brewing Co. But generally: I don’t like them. But as you know, I’m a committed student of beer. 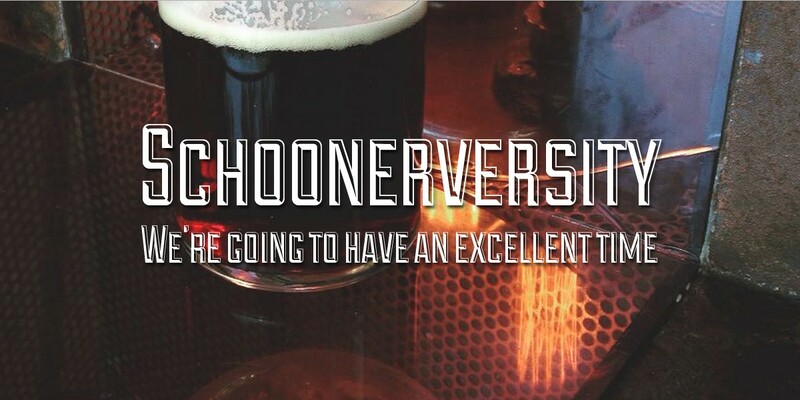 This is Schoonerversity, after all. So when The Scratch hosted another session of Alementary on sour beers on Saturday, I took a deep breath, bought a ticket, and hoped for the best. Alementary is beer education for a small group of people. You listen, you taste, you discuss. So I showed up to class last Saturday morning, proverbial notebook in hand. Our professor for the day was none other than my friend Nick ‘the Duke’ Gauci. He’s a connoisseur and lover of all things sour, and his gravelly voice has the authority of a lecturer and the persuasiveness of a Greek orator. When I arrived, however, it was to stony silence. It was spot on the starting time, but I must have missed the opening spiel, because it had already begun. Everyone watched on in silence as Nick, the high priest of this religious ritual, was pouring the first sacred beer into all the plastic chalices. 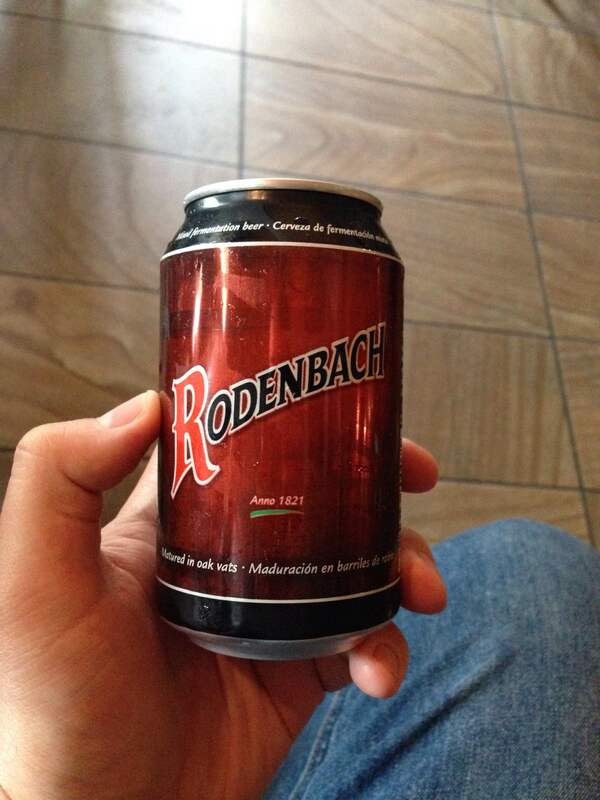 He handed them out, and passed around the can–Rodenbach. We all put our noses into the cups, before finally putting the beer into our mouths. I picked up apple cider vinegar (which, I might add, is a liquid I’ve never chosen to drink), and some tart berries. As we discussed the various smells and flavours, some said ‘vanilla’ and ‘woodiness’. But that certainly wasn’t my experience. 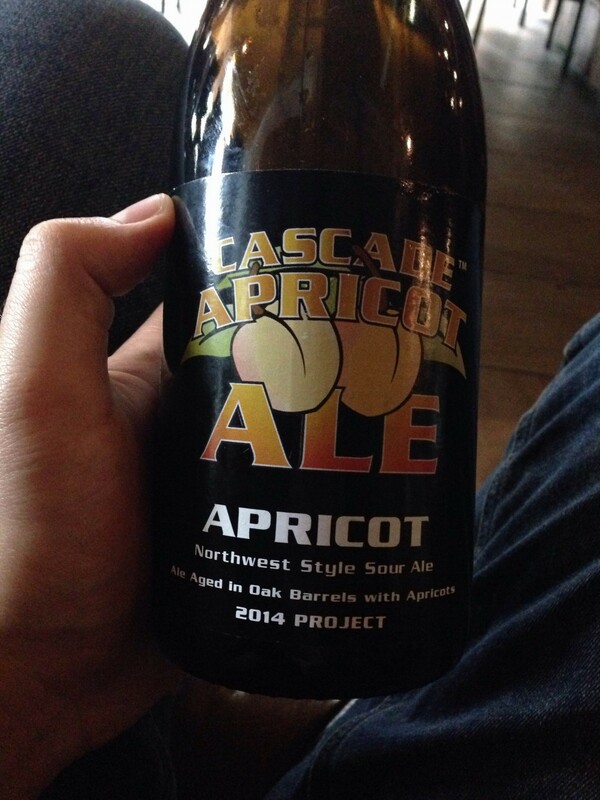 Next up was the Cascade Apricot Ale. This one’s a fruited sour, and boy, did it come through. You know those apricot fruit bars you used to eat in primary school, with the consistency of play dough? That’s exactly what this one smelled like. Nostalgia in a plastic cup. The taste was much more acidic, but still full of dried apricot. I enjoyed this one. 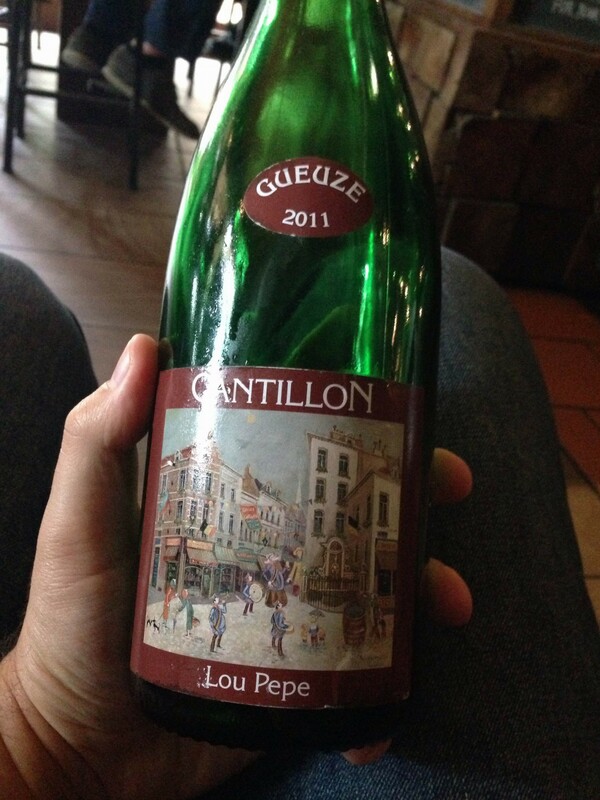 Third on the menu was a Cantillon Lou Pepe Gueuze, 2011. 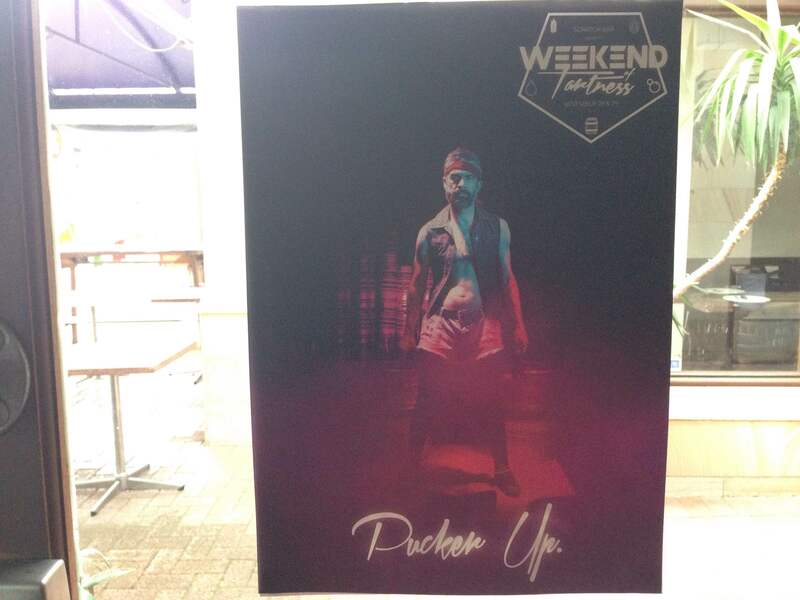 Quite hard to get your hands on, apparently. And this beer had certainly done some farting. As we all sniffed and tasted it, the descriptors began to float around in discussion: “funky”, “dank”, “wet socks”, “stagnant pond water infused with blue cheese”. Nick nodded along excitedly. “Yeah, as soon as there’s no fruit in a sour, the individual characteristics and ingredients come through.” Now, I’m hoping that wet socks weren’t an ingredient in this beer, and I didn’t read ‘stagnant pond water’ on the label. But either way, all of the sour lovers really enjoyed this beer. “Complex,” they agreed, smiling with appreciation. But when I smelled the mouldy blue cheese waft in the cup, and tasted the bitter grassiness from first sip to last, I decided that this rare, complex treasure wasn’t for me. 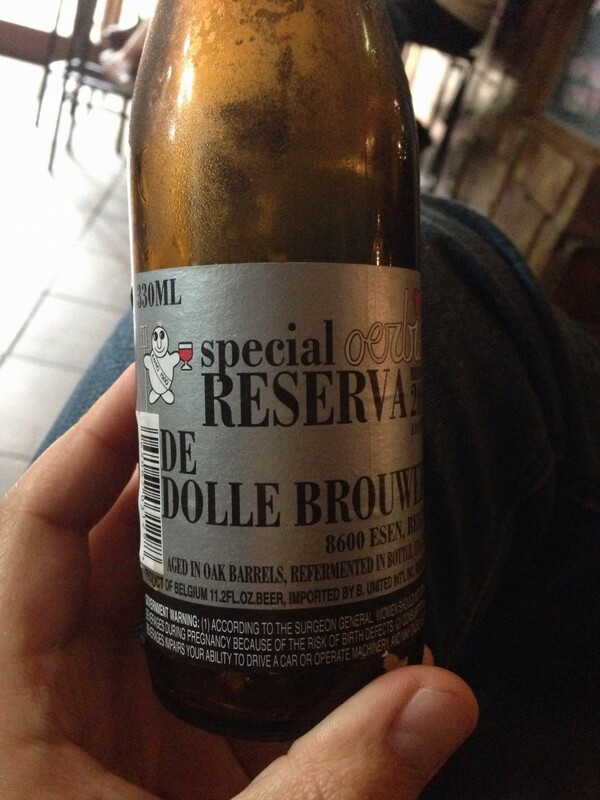 Our fourth and last official taster was a big boy brown sour: a 13% Oerbier Special Reserva, by De Dolle Brouwers. This one was naturally fermented, which means the bacteria comes from the environment rather than being added as an ingredient. After struggling with the Cantillon, this one was more subtle. I picked up white wine and pineapple at first, but it developed a rustic, oaky, barrel-aged strong-ale boozy-whiskey edge, which warmed the chest and warmed my heart. The sour lovers talked this one down, but this was more my kind of beer. We were all ready to finish up here, but as Nick was winding up, he casually mentioned that the Scratch had recently got some sour cherry porter from 7 Cent Brewery. 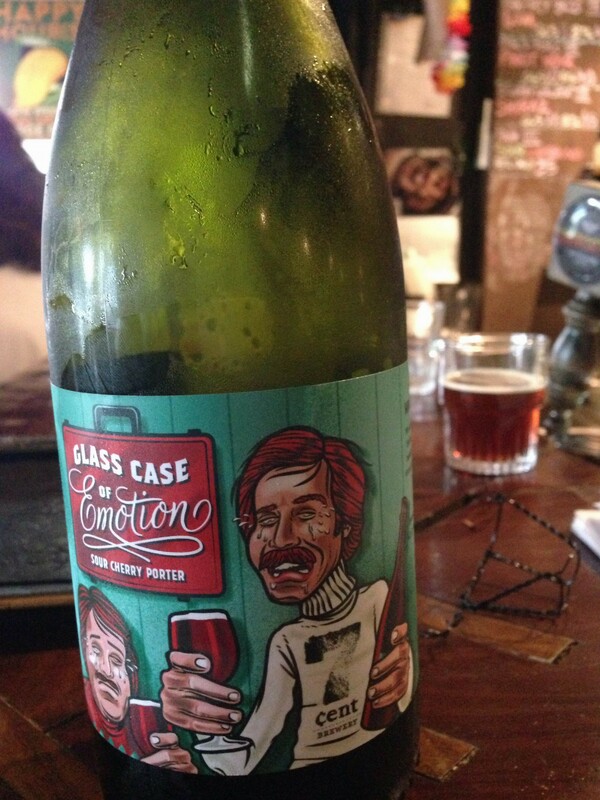 From behind the bar, Kieran, the quiet hero, pulled out a bottle of the Glass Case of Emotion for us to all try. And I’m so glad he did. It had a great porter smell, evoking vibes of coffee and Christmas pudding. Sipping it gave the sour hit of the cherry, but it didn’t linger–it was followed up with a dark, robust porter-y finish. Superb. Thanks, Kieran. And with that, class was dismissed. I didn’t walk away converted to beers that make your face scrunch up. I haven’t gone over to the tart side. But you know what? I think I lost my instinctive knee-jerk repulsion to any mention of sour beer. As long as there are brown sours and sour cherry porters in the world, and enthusiastic Nick Gaucis to say, “Try this one. It’s a beauty!”, I’ll try to keep a sense of adventure. P.S. I realise that there’s something narrow-minded about only enjoying sour beers if they cross over into the categories of beer I prefer, instead of appreciating them in their own right. But what can I say? Malty and dark and boozy beers are the ones I dream about at night. P.P.S. I should mention that in a few weeks, The Scratch is running the Weekend of Tartness: two whole days of sour beers and 80s funkiness. There will certainly be nothing tame about it. ← I’m back and I’m beering.